Grand rounds on every Saturday. Hematology group discussion on every alternate Tuesday. Clinical hematology and pathology discussion every alternate Friday. 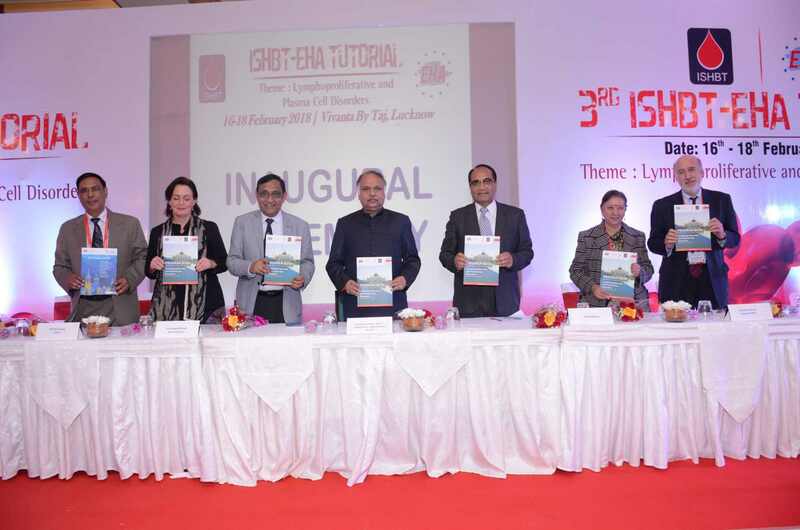 3rd Indian Society of Hematology & Blood Transfusion and European hematology Association Tutorial was organized by the Department of Clinical Hematology, KG Medical University Lucknow. The theme of the conference was Lymphoid and Plasma cell malignancies. The organizing chairman was Dr. A.K. Tripathi, HOD, and Department of Clinical Hematology. It was inaugurated by the chief Guest, Sri Ashutosh Ji Tandon, Hon Minister, Medical Education UP. The Guest of Honour was Prof. MLB Bhatt, Hon VC, KGMU and special Guest was Dr. Deepak Malviya, Director, RML IMS Lucknow.Dr Gianluca Gaidano,Professor Hematology Department,IRCAD Amedeo Avogardo University, Italy was the international Organising Chairperson ,from the EHA division. The meeting was attended by 330 participants, including specialists and doctors from India, Nepal, Bangladesh, Sri Lanka, Spain, Italy, Ireland, Switzerland, and Netherlands. The Department of Clinical Hematology, KGMU achieved a major milestone in the treatment of blood cancer. The patient Panne Lal, who was diagnosed with Multiple Myeloma one and a half years back, responded to treatment initially and then relapsed within a year. He underwent autologous stem cell transplant in the Department of Clinical Hematology. Dr. A. K. Tripathi, Professor and Head of the Department has revealed that this is a big step forward in achieving the goal of providing best treatment to the poorest of the poor. He has thanked the whole team Which mainly included Dr. A.K. Tripathi and Dr. S.P. 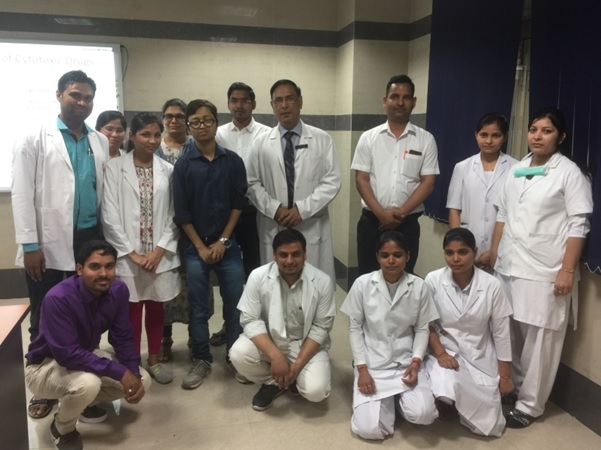 Verma (Clinical Hematology), Dr. Rashmi Kushwaha and Dr. Geeta Yadav (Department of Pathology) and Dr. Tulika Chandra (Transfusion Medicine) and Dr. Prashant from Microbiology.Dr. A.K. Tripathi has said that he has put in a demand for more man power and up-gradation of infrastructure so that the transplant unit can be run in full capacity and the Stem cell transplant can be made available to those who need it. Eventually the next step in the stem cell transplant is to advance to Allogeneic Hematopoietic Stem cell Transplantation in patients with aplastic anemia and thalassemia. Prof. MLB Bhatt, Hon' VC congratulated Dr. A.K. Tripathi and his team for this commendable work and appreciated that the Department of Clinical Hematology is achieving several milestones one by one and is paving a way in providing world class treatment to the common folks.